Join a Physiotherapy internship in Nepal for high school students and learn from skilled and experienced physiotherapists. 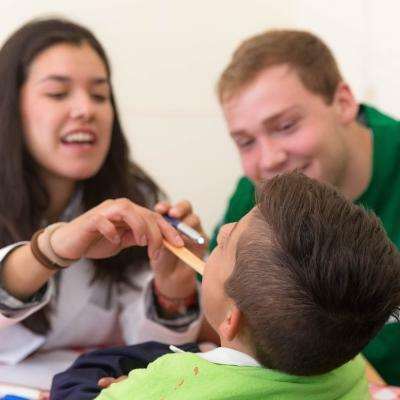 You’ll shadow physiotherapists in a medical setting, and live and work with a group of teenagers from around the world. Throughout it all, Projects Abroad staff will be by your side. You’ll shadow physiotherapists as they work with adults and children in a busy teaching hospital or in a spinal injury centre in Chitwan. At your placement, you will see how procedures are conducted, and how patients are treated. This an exciting and memorable way to add work experience to your CV. It might also help you decide if physiotherapy is the career you want to pursue. In Chitwan, you will stay at a hotel with your group. When you’re not working, our staff have organised plenty of social and cultural activities for you to enjoy, along with a weekend trip! Is this Physiotherapy High School Special in Nepal right for me? If you’re a teenager interested in getting a closer look at physiotherapy, this High School Special is a great option for you. It’s also a good fit if you’re eager to explore physiotherapy as a potential career. It will add relevant work experience to your CV, and give you interesting points to talk about in university applications and interviews. You don’t need previous experience to join. Your role is strictly observational, and staff will take the time to explain what they’re doing and why. In addition, you can reach out to our staff at any time. 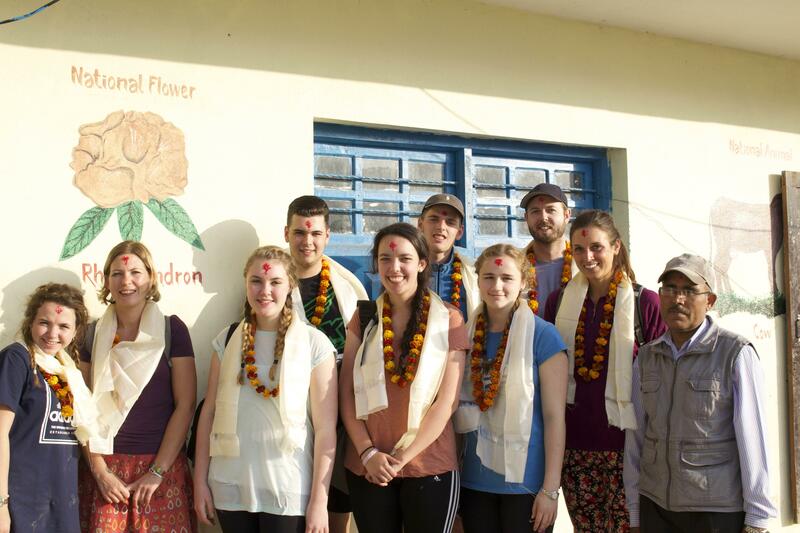 Our Physiotherapy internship for teeneagers in Nepal takes place on fixed dates for two weeks in the summer. It follows a set itinerary, with Projects Abroad staff on hand to provide guidance and constant supervision. 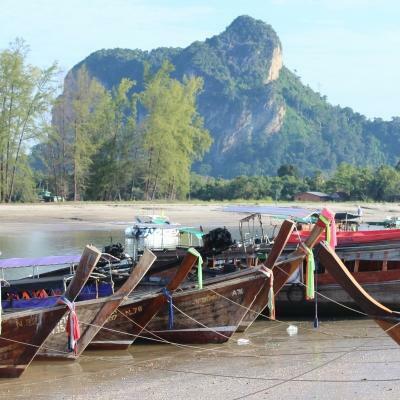 When you’re not working, you’ll be having fun with the rest of your group on activities and trips we’ve organised. 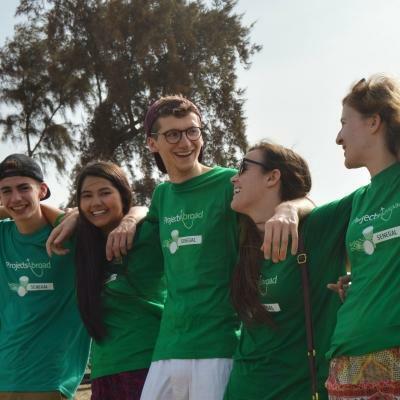 What will I do on a Physiotherapy internship in Nepal for teenagers? You’ll learn by shadowing physiotherapists as they work with patients. Watch as the therapist works with spinal injury patients, or as they teach teach children with special needs how to stretch out a muscle. Use this time to ask questions and learn as much as you can. We encourage you to take notes, so you can remember everything you saw and learned that day. On our Physiotherapy internship for teenagers in Nepal, we’ll teach you about the musculoskeletal system and how it relates to the study of physiotherapy. This is a great way to expand your practical medical knowledge. You may also be able to speak with orthopedic surgeons, nurses, or other medical staff, and ask questions related to physiotherapy. 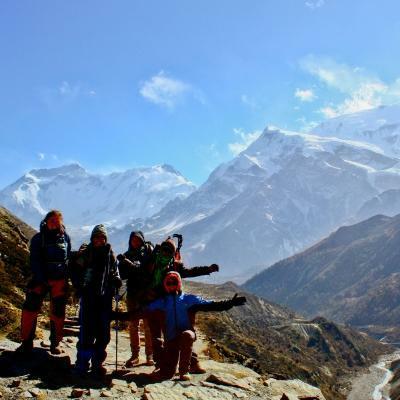 These exciting activities give you chance to socialise with people your age from around the world, and also a chance to learn more about Nepal’s culture. Where in Nepal will I work? You will complete our Physiotherapy internship in Chitwan, Nepal. You will live in a hotel, and do observation work in a teaching hospital or in a spinal injury centre. Known as the Medical City of Nepal, Chitwan is home to a variety of top-rated medical institutions. Drawing people from all across the country, northern India and other parts of the Himalayan region, it’s become something of a medical tourism hot spot over the past few years. When you’re not working, we’ve organised social and cultural activities to keep you busy, along with a weekend trip to Chitwan National Park. When you arrive at your respective airport, a member of Projects Abroad staff will be there to meet you. You can find more detailed information on arrival airports, orientation, and visas on our Nepal Arrival Procedures page. The aim of this project is to give you physiotherapy work experience in a developing country. You’ll learn directly from physiotherapists in a large teaching hospital and a spinal injury centre. We’ll show you different methods of treatment, and what techniques are used to treat specific conditions and illnesses. When you have a chance, do some research to see if the same procedures are practiced in your home country. Think about why there might be some differences. 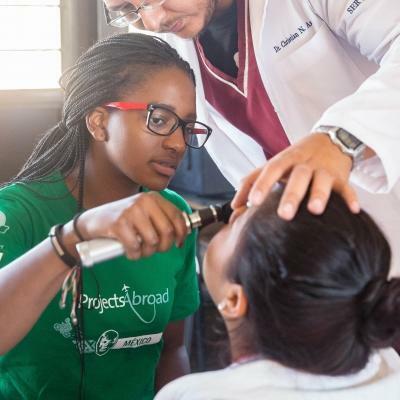 The placements we work with aim to give disadvantaged communities access to quality medical care. Getting medical care can be a challenge in these communities, especially since 25% of Nepal’s population lives below the poverty line. Join a Physiotherapy High School Special in Nepal and broaden your knowledge of physiotherapy practices in a developing country. My decision to go to Nepal was definitely the best decision of my life. The things I saw whilst there were eye opening and have made so much more of an impact on me than just seeing photos and hearing stories on the news. You'll share accommodation with other Projects Abroad volunteers and interns during your stay in Chitwan. This is a great way to get to know your fellow volunteers and interns, share experiences, and explore your surroundings in your time together. 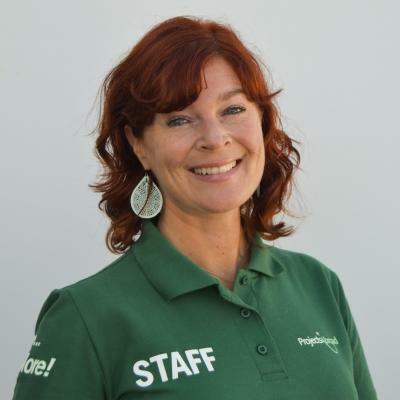 Sabrina was born and raised in Copenhagen, Denmark and holds a master’s degree in African studies. 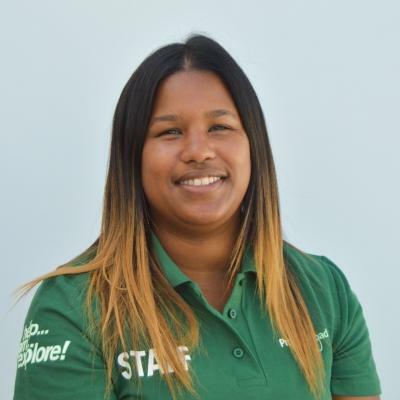 She travelled extensively through Africa and Asia before joining Projects Abroad in 2018. She previously volunteered in Nepal and is passionate about giving others the opportunity to experience the country the same way she did. As Sabrina is currently living in Kathmandu, she spends her free time exploring the local cuisine, the cultural sites, and the beautiful nature Nepal has to offer. Line was born and raised in Copenhagen, Denmark and holds a bachelor degree in sociology and cultural analysis and a masters in international development. She travelled extensively through East Africa and Fiji, but started her volunteer journey in Tanzania. Her wish is to pass on the joy of volunteering and exploring the world. 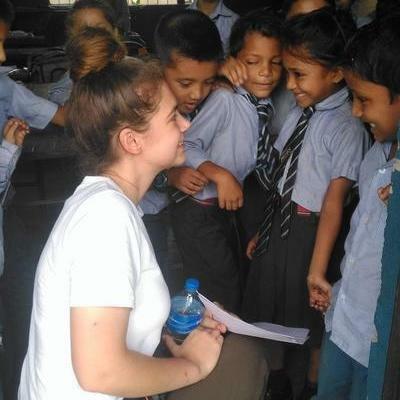 This is why she joined Projects Abroad as a short-term High School Special volunteer coordinator in Nepal. When a full time position came up, Line jumped at the opportunity to join the Projects Abroad Nepal team long-term. Living in Kathmandu, Line enjoys exploring Nepal’s natural beauty, tasting the local cuisine and practicing yoga that originates in the country. Gain international physiotherapy work experience learning from skilled local staff in developing countries.